Just introducing myself to the forum. 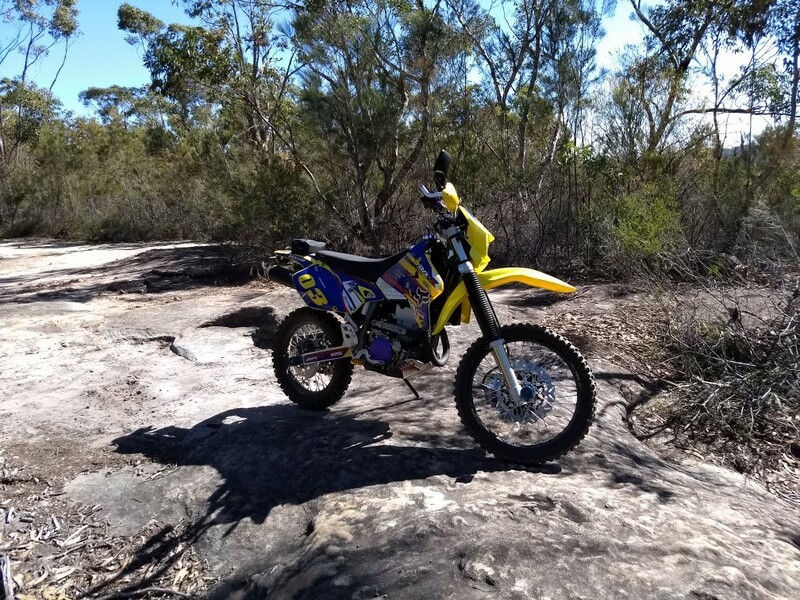 I live in the Hills district in Sydney and own a 2017 DRZ400E. If anyone live locally and would like to meet up for a ride then hit me up. Great to see a different looking DRZ, do you have the details on your larger front brake setup and does it make munch difference ? Thanks @merretta. I bought a set of 17" motard wheels off ebay and they came with the 320mm disk and caliper adapter. I have kept them when converting back to the dirt rims as it's a bit of a PITA the change back the caliper. In regards to braking, it's night and day compared to the drz400e disk. in fact would say it's one finger braking. It could be considered too much for the dirt so have to be careful. Ok thanks, that's good to know as I only really use mine for dirt and was looking at a 270mm disk and caliper adapter. It might be just the right size by the sounds of it. Yep, 270mm would be the way to go. 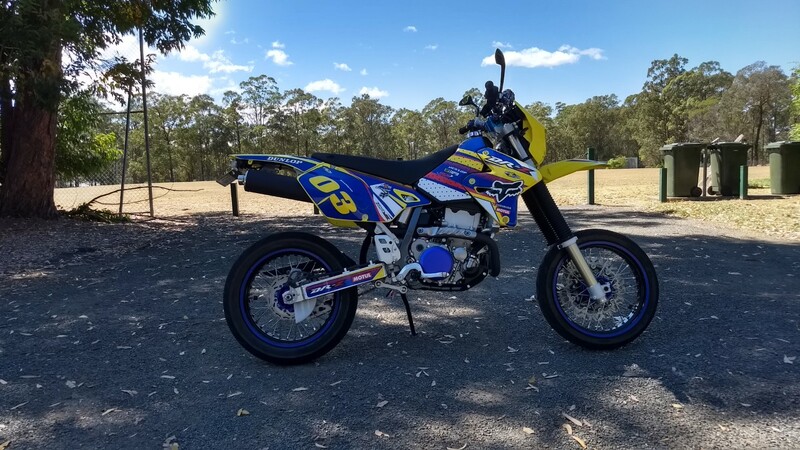 320mm is more supermoto.